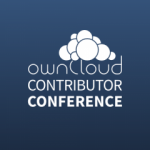 With the ownCloud Contributor Conference having kicked off in Berlin, we’re here to bring you up to speed with some exciting announcements! Viewers of our livestream have seen some big news revealed in the keynote by ownCloud Founder Frank Karlitschek, including our new Security Bug Bounty program, ownCloud Proxy and the release of the User Data Manifesto version 2. Starting, Frank invited Hugo Roy on stage to announce the publishing of the User Data Manifesto 2.0. Frank first revealed The User Data Manifestoat a Latinoware keynote in 2012 It aims to define basic rights for people to control their own data in the Internet age. Version 2.0, the writing of which was coordinated by Hugo and Frank, sports a much simplified description of these rights, making it both easier to understand and support. 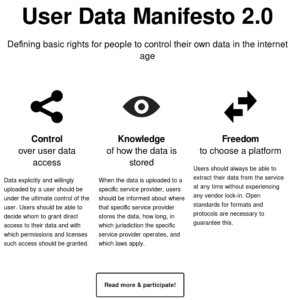 You can find the User Data Manifesto on userdatamanifesto.org and sign it if you want. The User Data Manifesto is supported and endorsed by major organizations supporting digital freedoms like the Free Software Foundation Europe, spreed, the X-Lab, the GNOME Foundation, KDE e.V., ToS;DR and many others. No technology is perfect, and ownCloud Inc. believes that working with skilled security researchers across the globe is crucial in identifying weaknesses in any technology. Today, Frank announced the creation of the ownCloud Security Bug Bounty Program which rewards security researchers for finding issues in the ownCloud Server, and in so doing helps strengthen ownCloud Server for customers, users and the community. 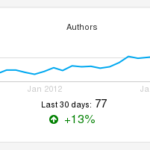 When a security bug is identified, it can be submitted via our HackerOne page. If the bug is identified as meaningful and qualifies for the program, and the submitter has followed the Disclosure Policy, the bug bounty is paid out relative to bug severity. Highest severity issues like ones which give the adversary complete control over a server result in up to USD $ 500 reward while low and medium severity problems have rewards ranging from $50 to $250. Find more information, including what components of ownCloud are eligible and our disclosure policy, on our HackerOne page. Learn more about how ownCloud deals with security on our security page. Despite all that our users love about ownCloud – the access, security, privacy, control and more – the one thing people don’t like is how challenging it can be to set up and access ownCloud for the home user. Today, Frank announced the availability of the ownCloud Proxy app. Designed for those of you who want your own private, secure “Dropbox” and don’t want the hassle of configuring routers, firewalls and DNS entries for access from anywhere, at any time, ownCloud Proxy is for you. It comes installed as an ownCloud community app in the new ownCloud community appliance, connects to relay servers in the cloud, and provides anytime, anywhere access to your files, on your PC running in your home network, quickly and easily. And, of course, you can grab it from the ownCloud app store and add it to an existing ownCloud server if you already have one running. The ownCloud server relies on pageKite as a third-party proxy provider and we hope to add more providers in the future. An information page has been set up at the ownCloud Proxy page. Please note that pageKite is not terribly suitable for syncing large volumes of data, their service has rather limited data transfer caps. We hope to have more information for you in the near future for less restricted solutions. 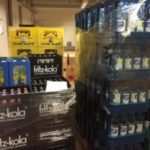 Suggestions and help is welcome – this is just a start and your involvement could help make it great!